2. Upload your logo in editable vector format and write out what text you would like us to include on the card. Please note that changes such as font and text placement cannot be made to our templates. If you would like design customization, please order our simple design services. 4. Our designer will contact you with a proof for your approval within 1-2 business days. 5. Sign and approve your proof. 6. Production starts and you can relax knowing that your printing is in the hands of our trained professionals here at RockDesign! The modern design of the Work Hard Stay Humble template is perfect for clients looking to include a large variety of information on their business cards. Since this design is actually created by combining deboss with offset printing, there is versatility in the logo, which can be customized to your liking. Gradient printed logos can be used with this template which makes this design an excellent option for many clients, but the playful and nostalgic composition is especially ideal for entrepreneurs interested in vintage merchandise. The front of this lively design introduces a mischievous vibe that is guaranteed to grab the attention of receivers, enticing them to dig further for information about your company by turning to the back of the card. Such a flashy and playful presentation serves as a contrast to the important aspects outlined on the back. The premium texture of the 29.4pt smooth cream uncoated cardstock along with edge paint makes this template a beautiful and high-end option. 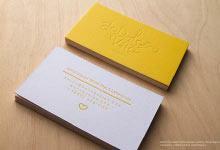 Our letterpress cards are produced on our 30pt uncoated cardstock. The lush and thick paper is perfect for our letter pressing techniques; This cardstock is available in both white and cream colours and is also excellent for offset printing, debossing and foil stamping. 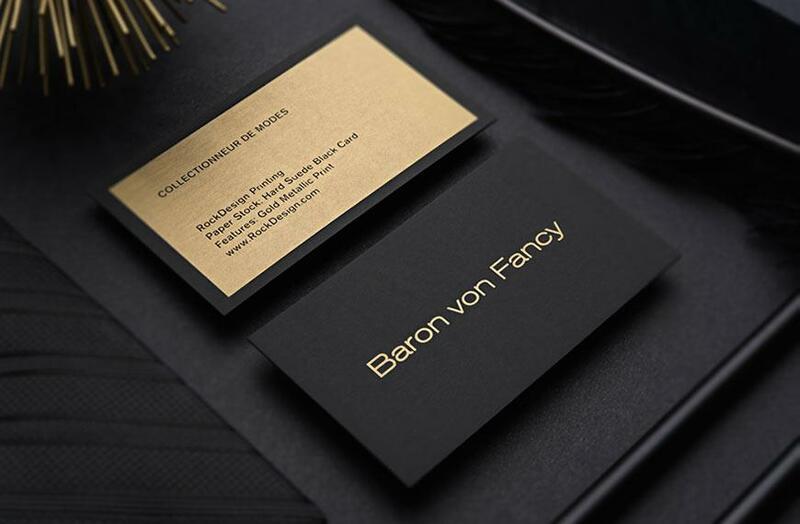 Our letter press cards are a great option for classic and clean designs and is beautiful option for companies looking to impress with out ostentation. The letter pressing technique can be used on other cardstocks as well so please email [email protected] for custom quotes. As with all of our white premium cards printing is not included in the price so be sure to include it when using our price calculator.